I decided to do this so we can talk about important health topics and so you can get to know my team, my practice, and myself a little better. Are you married? : Yes! I have been married to my beautiful wife, Teri, for 18 years and we have 3 incredible children together. Part of your job? : Working with our team to develop unique and creative ways to help our patients get out of pain and get healthier, especially when they have tried everything else and not found success elsewhere. Sport? : Hockey. Go Red Wings & Griffins!! Outdoor activity? : Anything and everything! Grilling, Jeeping, camping, running, walking, hiking, biking. This list can go on and on. Movie? : Rudy. I have had so many roadblocks and doubters in my career, I can relate. Tenacity. Go for what you want in life with all your might and don’t ever give up! Band? : Van Halen. Love that incredible guitar work! Now that you know me a little better, I would like each of my awesome Team Leaders to introduce themselves, so you can get to know them as well! Nicole, Business Team Leader – Hello! Having lived in West Michigan my entire life, I am so grateful that I was able to find a career at a company that is so close to home and shares my love for this area! My son, Landen, and I love enjoying all the wonderful things West Michigan has to offer. We especially love going to the beach and having lazy days out on the pontoon. Being an example of hard work, dedication, and tenacity for my son is what drives me to be better for myself, my team, and my patients every day. As Steve Jobs once said, “the only way to do great work is to love what you do. If you haven’t found it yet, keep looking. Don’t settle.” I am lucky enough to have found something that I love doing! As the business team leader, my favorite thing about my job is watching my team GROW. I believe that leadership is not a position or title, it is action and example. I also enjoy working with all our patients – watching them go from being in pain to getting a second chance at living life the way they want to is unbelievably rewarding. Thank you to Dr. Miller and his wife, Teri, our entire team, and our wonderful patients for making work so fulfilling! 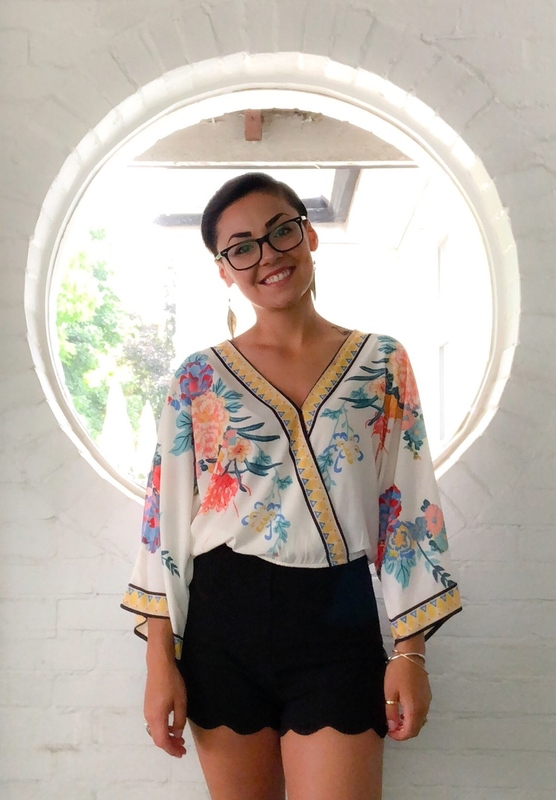 April, Executive Assistant/Master of All Things THC – Oh hey! I have worked for Total Health for 5 years and have had the pleasure of working in just about every position possible over those years – which is why they call me the “Master of All Things THC”. Currently I am the Executive Assistant to Dr. Miller and his wife Teri but I recently took on the role of Insurance Biller to help better serve our patients! I wasn’t really sure what to write so I created a list of fun facts about me so you all can get to know me better! I’m a total history buff – I wanted to major in it in college but didn’t see much of a future in it. Ironically, I graduated college with a degree I don’t use. I enjoy old classic films – I mean the real classics with the greats. The likes of Dean Martin, Frank Sinatra, Bing Crosby, and Audrey Hepburn. I talk to myself… a lot. Lexy, whom I have a desk next to, is always trying to figure out if I’m talking to her or myself. I talk in weird accents, most of which are my own made up ones. My favorite part of my job is knowing that even if I don’t directly work with patients I am impacting their lives and helping them achieve their goals to get and stay healthy. Working at THC has helped me grow in so many ways and I am super thankful for that! Lexy, Marketing Director – Hi friends! I have been with Total Health for over a year now and have loved every minute of being a part of this team! I moved to the Grand Rapids area from the Upper Peninsula (Yooper Pride!) with my husband shortly before I started here at THC. Being away from home isn’t easy but our team and our patients make work feel like home to me! I am a member of the Michigan Army National Guard and love having the opportunity to serve this awesome country of ours. I have an incredible amount of pride in our military and country and I am so thankful that my bosses, Dr. Miller and Teri, feel the same way and support me in what I do. My favorite part of my job here at THC is having FUN with the team and patients. I can’t wait to see what the future holds and look forward to getting to know everyone that comes into our office. I’ll leave you with a little Yooper wisdom… Slow down and follow the plow, enjoy every pasty [past-ee (everyone says it wrong)] like it’s your last, and sweat in the sauna, not over the small stuff. Have a great day, eh! Over my next few posts I will have each of the rest of the team members introduce themselves as well. My next blog post will be about how chiropractic promotes overall wellness. I can’t wait to start sharing tips, ideas, and health information with you all! Please feel free to request any specific topics that you would like me to talk about!